My youngest daughter *finally* (in her words) received an American Girl Doll for Christmas this past year, as did her best friend and cousins. So, as you can imagine, there's been lots of doll playing at our house since. Last weekend was her best friend's birthday so I decided to make a little present for her and her doll. She had mentioned that she wanted an apron for her Caroline doll. I knew I could whip one up in no time. 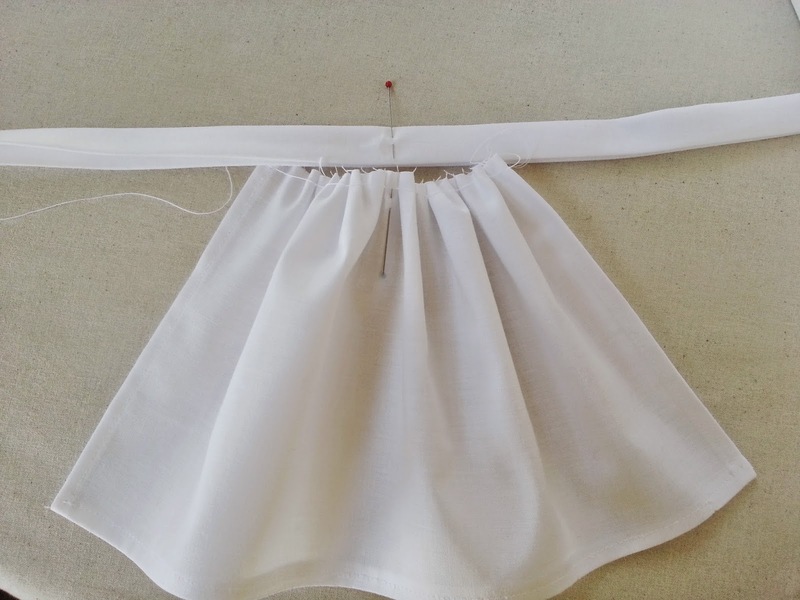 Since Caroline is from the early 19th century, a half apron (prairie style) was what I can up with. 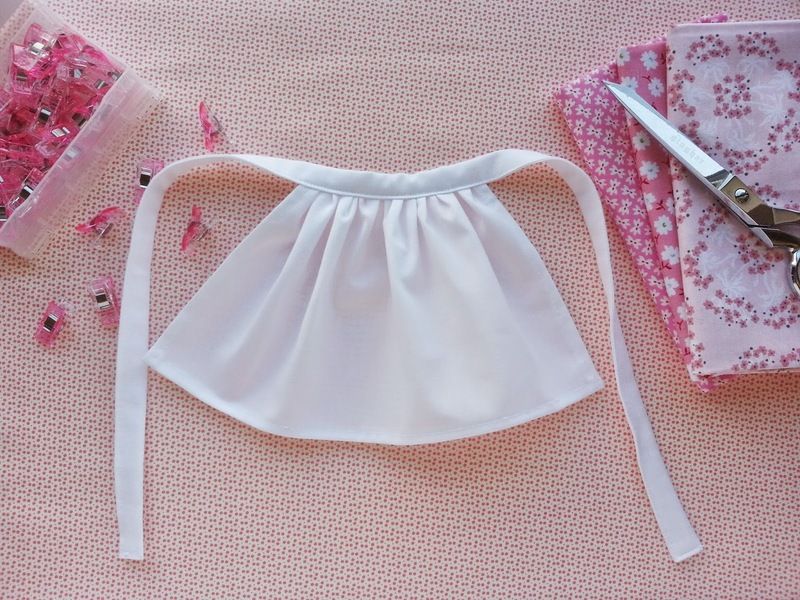 I thought I'd write up a quick tutorial on what I did in case you know an American Girl doll that needs a tiny apron as well. 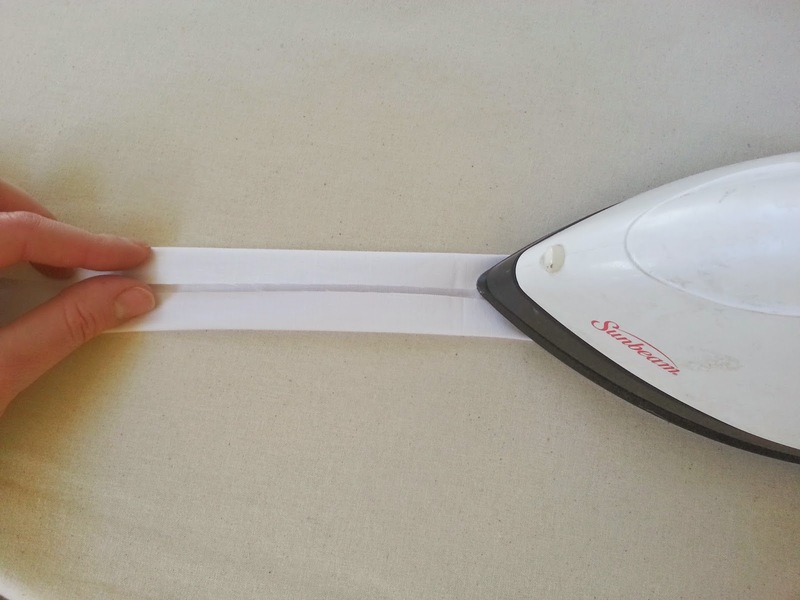 Iron the strip lengthwise into fourths, to make it double folded. It should measure approx. 1/2" to 3/8" once you're done. 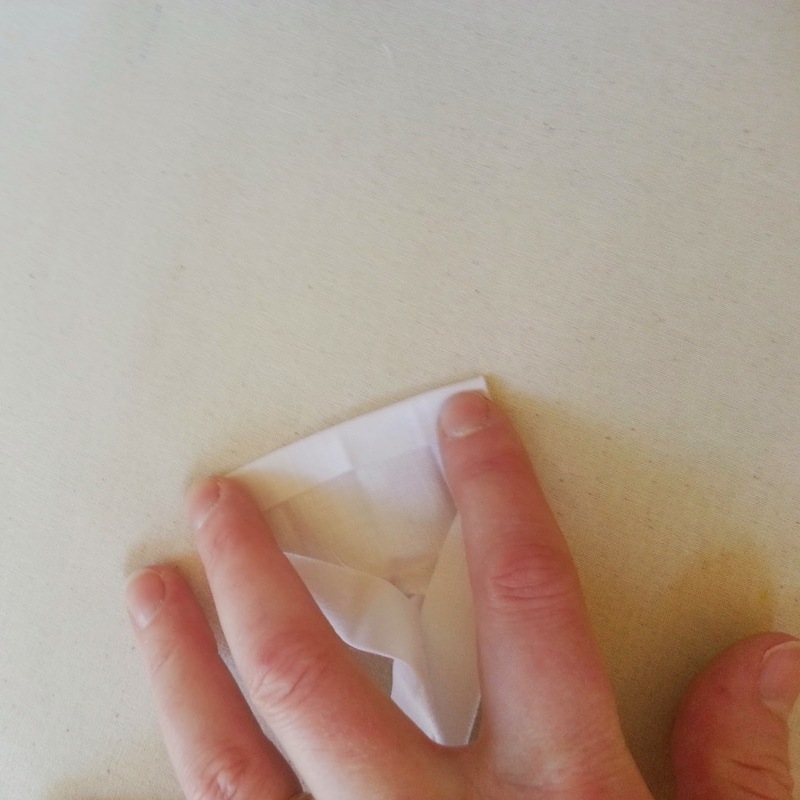 Take the rectangle and double fold 3 of the 4 sided approx 1/4 each. (1/2 total) or as small as you can get it. 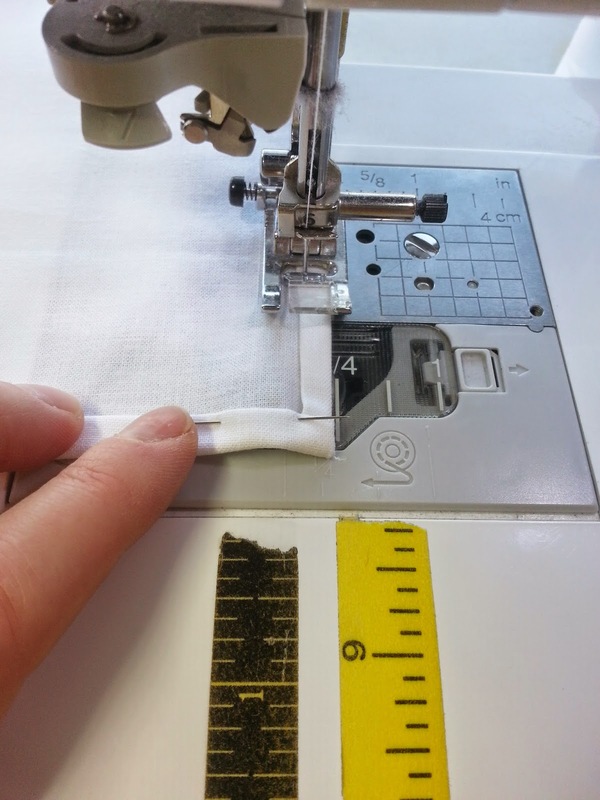 Sew the 3 sides with a 1/4" straight stitch. until it measures approx. 4". 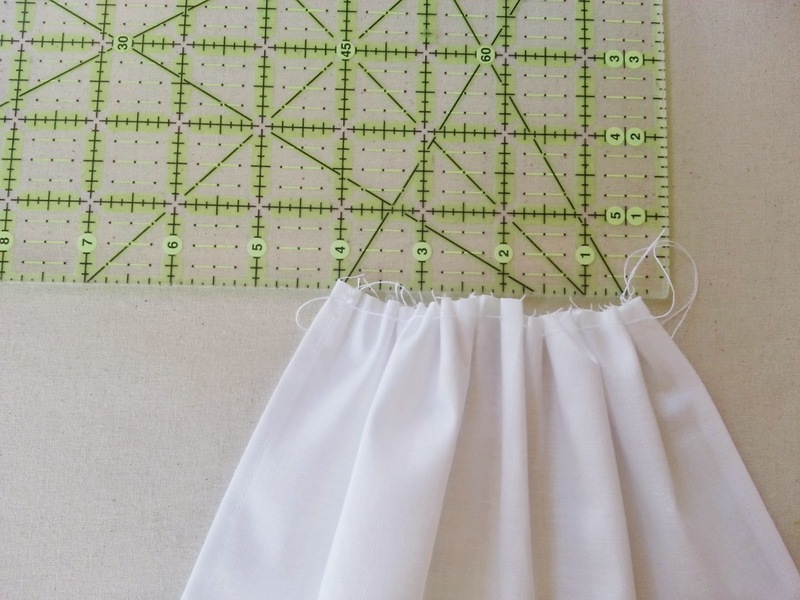 Measure the apron base and the apron tie to find their middle points and pin them as shown. Unfold the tie and "sandwich" the base of the apron at the middles. 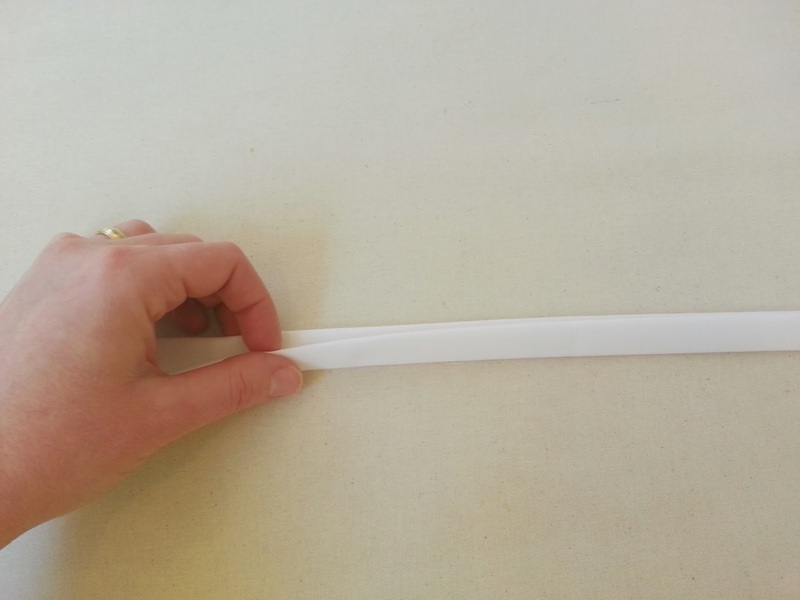 Pin them so the base (gathered edge) is securely inside the tie with no raw edges showing. 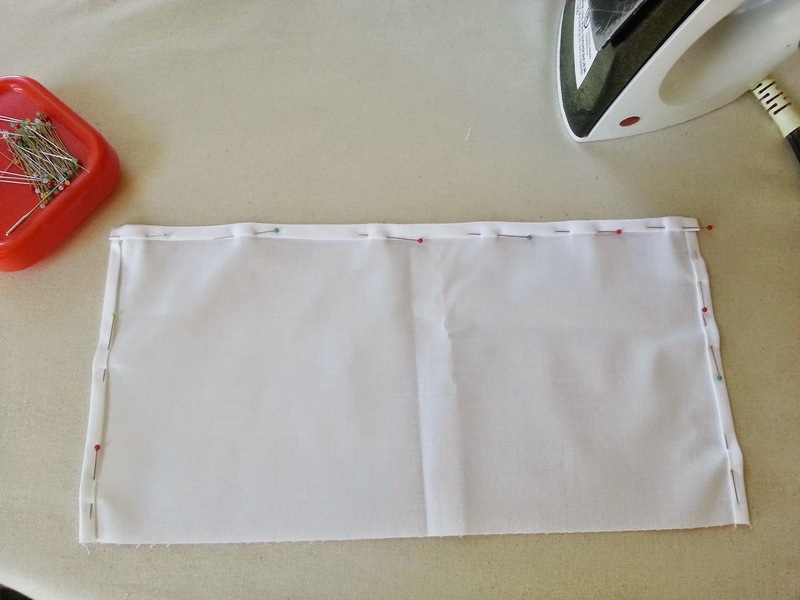 Continue pinning the apron and tie together until all is secure. 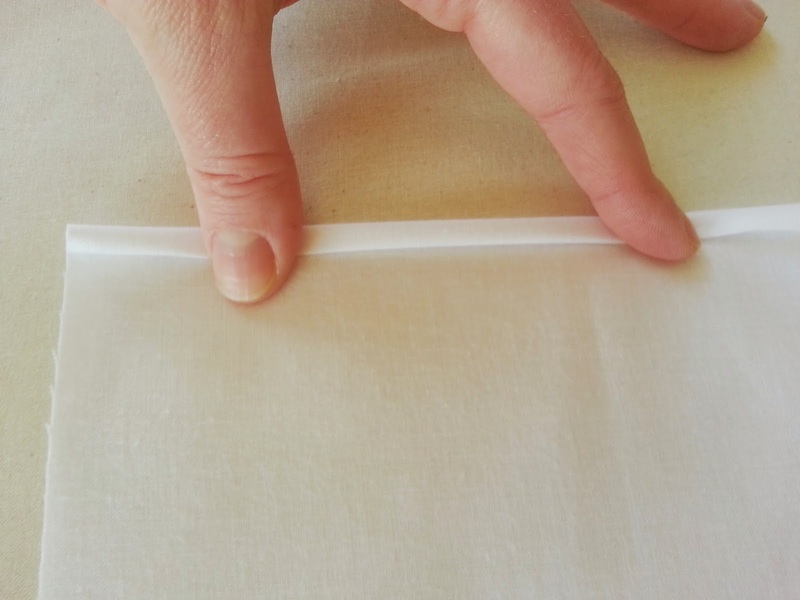 Fold each end of the ties in as shown so no raw edges will show. 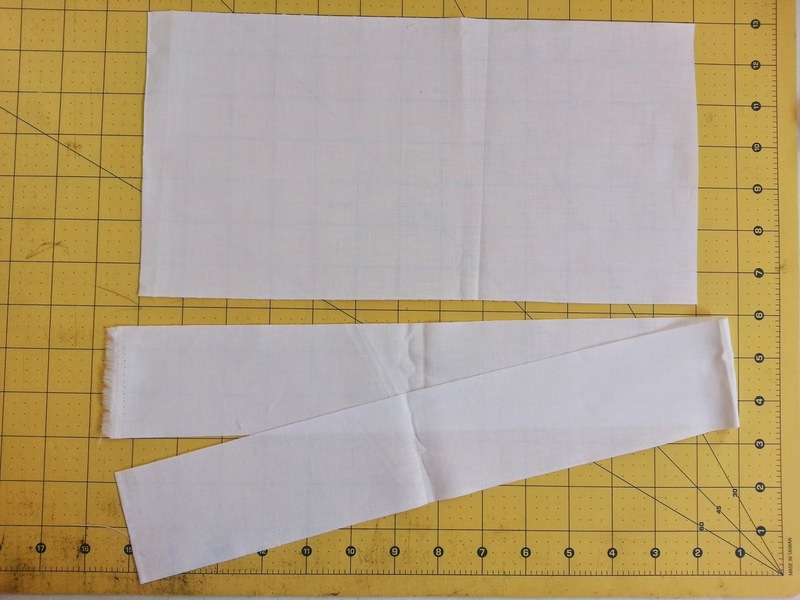 Once you have pinned everything securely, sew the length of the tie (which will also attach the base) with a 1/4" straight stitch. 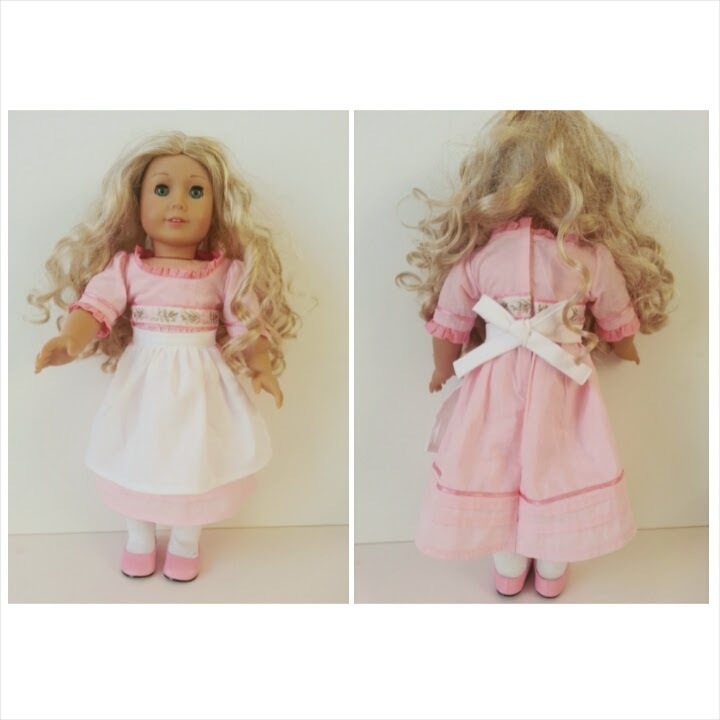 When you are finished you will have a cute miniature Prairie Apron just perfect for your American Girl Doll! If you have any questions I will try to answer them in the comments section.